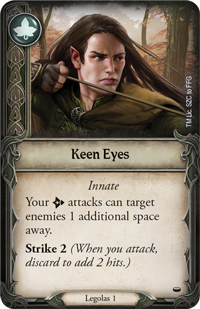 they also let him shoot with pinpoint accuracy, ensuring that his arrows strike true. 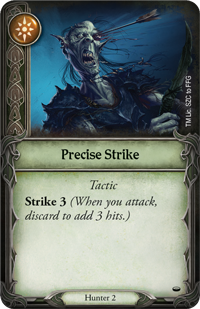 But if he is also your party’s Hunter, he can make a Precise Strike to add even more hits to his attack. 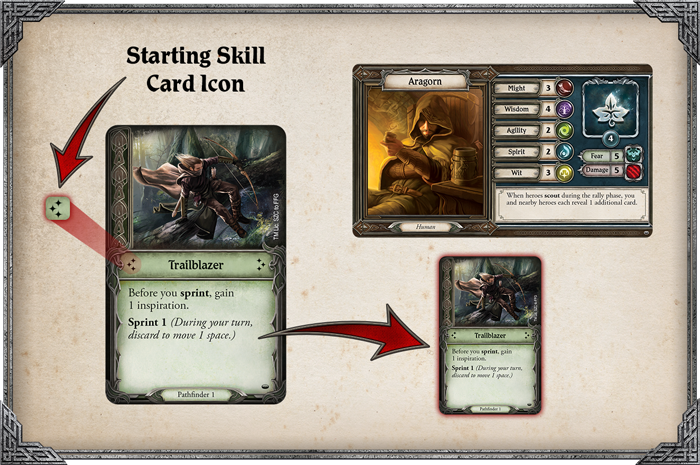 granting him an inspiration token that he can immediately spend to use his ability and move one space. 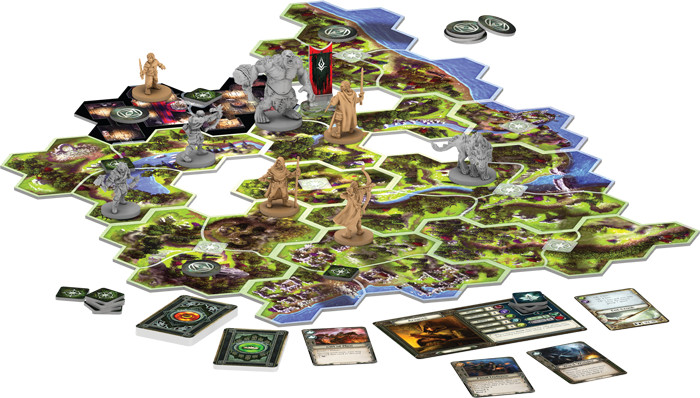 If that’s not enough, his Tireless nature lets him do even more on his turn. 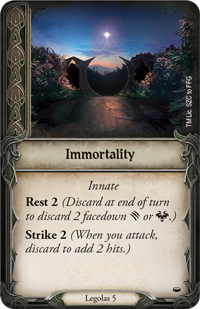 Finally, as an Elf, Legolas’s Immortality affords him benefits not seen amongst other peoples, including the chance to heal his body and mind or make an even more forceful attack. 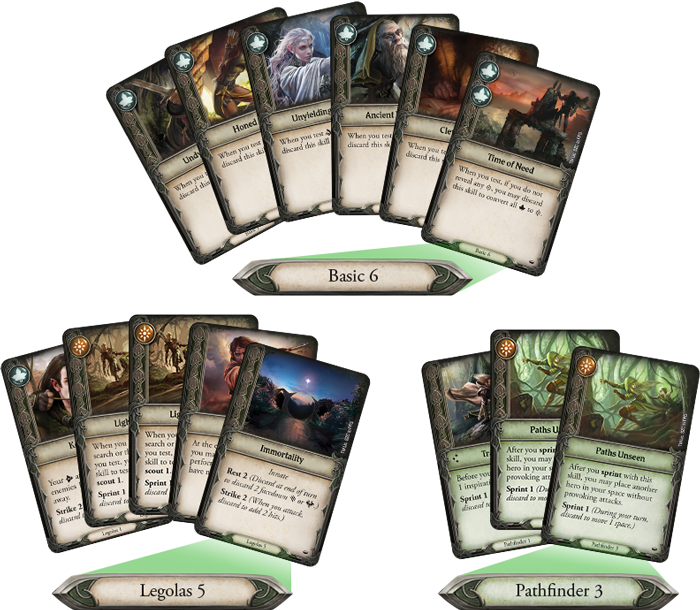 As another playable hero in Journeys in Middle-earth, Elena carries the knowledge of the Elves with her wherever she goes, including all the benefits their long lives afford. 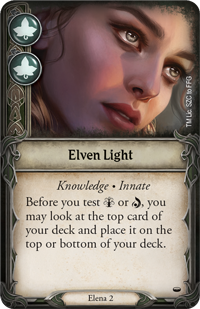 This Elven Light gives her the unprecedented ability to see into her skill deck and perhaps change her fortunes in an upcoming test. 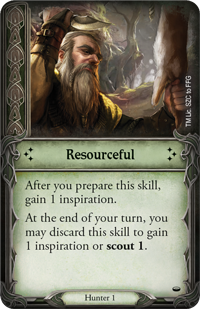 This knowledge also extends to the many songs of the Elves, and as a Musician, she can inspire others to succeed at their tasks. 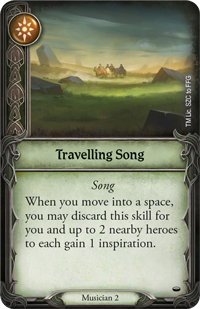 When performing a Travelling Song, for example, Elena can grant inspiration to herself and up to two nearby heroes. 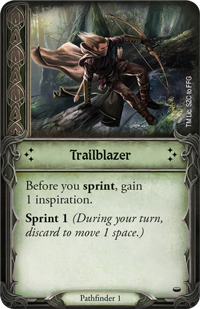 Like Legolas, this inspiration can be used to fuel her hero ability. In this case, Elena can help spread even more inspiration after she spends her own. 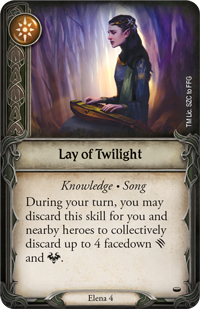 While any Musician can play a Travelling Song, only Elena has knowledge of the Lay of Twilight. These songs are valuable skills, of course, and it can be hard to choose the right time to play them. 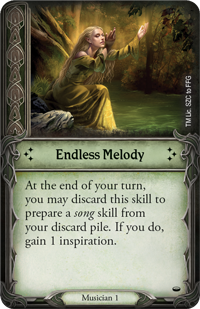 But the Endless Melody that seems to flow through all Musicians makes this choice a little easier, allowing someone like Elena to prepare a song directly from her discard pile. 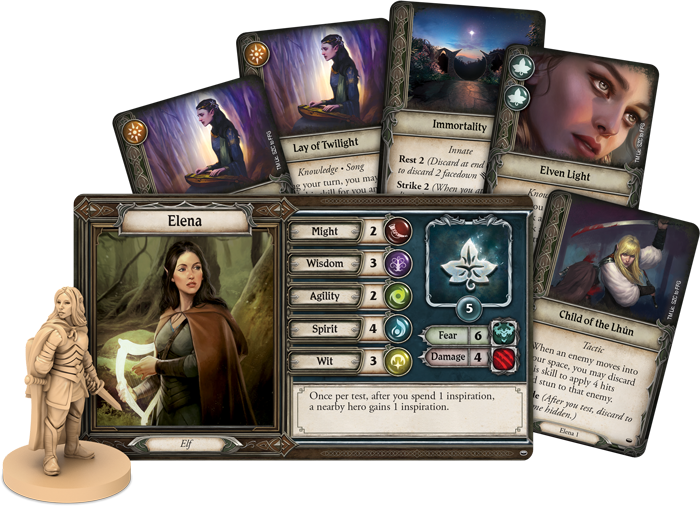 While she may not quite be the warrior Legolas is, Elena can also still be formidable in a fight. 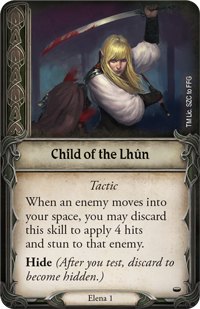 As a Child of the Lhûn, she can make a swift attack against an enemy that enters her space—and disappear just as quickly. 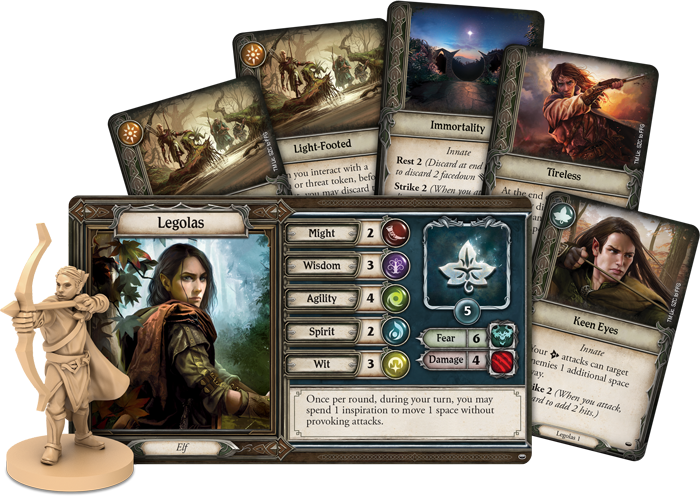 A natural leader, Aragorn is ready to help the party prepare for any situation. 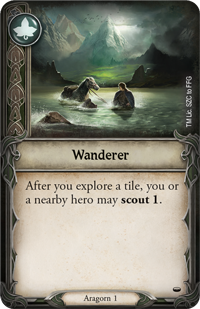 His mere presence is enough to give the party more options when they scout during the rally phase. 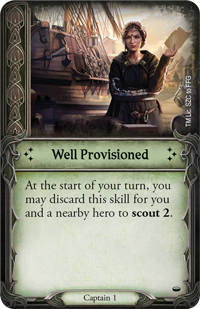 But as your Captain, he makes sure that you’re Well Provisioned, giving himself and another hero a new opportunity to prepare skills. 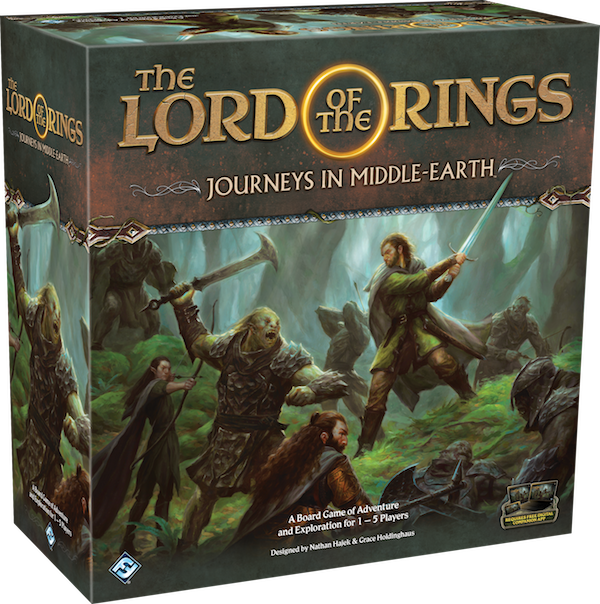 Aragorn is not one to enter new territory unprepared, and the skills he has learned as a Wanderer help him to be ready for any dangers that may lurk ahead. 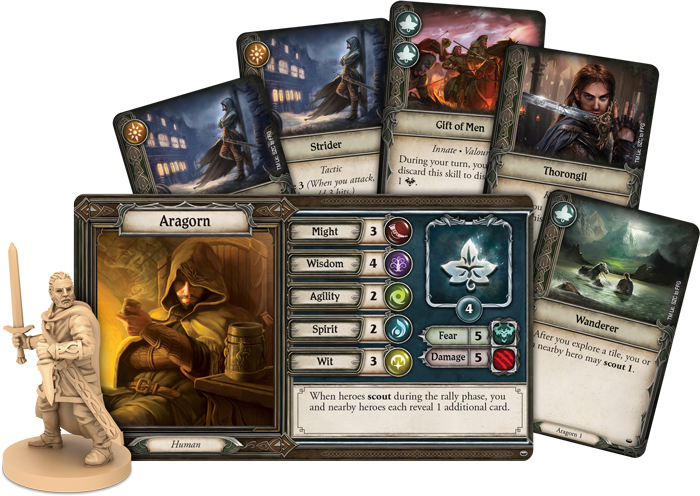 Though he is capable with all manner of weapons, Aragorn’s true power lies in wisdom. Unlike some other characters, he knows when it’s best to attack and when to maintain a low profile. 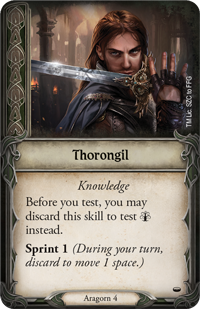 Those who know him as Thorongil will not be surprised that he can use his wisdom in place of another stat while in the midst of a test. 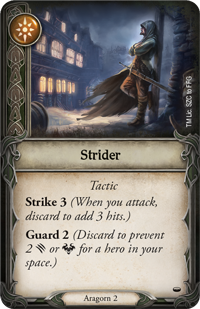 As the Ranger Strider, on the other hand, he can either make a powerful attack or guard against the blows of his enemies. 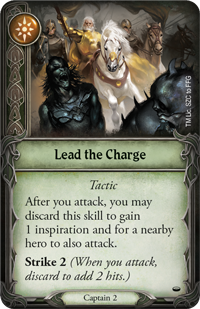 Like any good leader, though, Aragorn is not afraid to Lead the Charge, often working together with the rest of the party to fight the strongest of enemies. 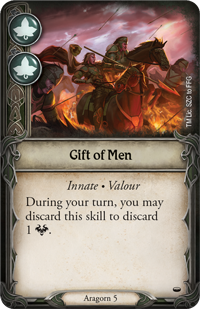 No matter how skilled he is in battle, these acts of bravery will inevitably take their toll, but—thanks to the Gift of Men —Aragorn can easily shrug off his fear.